Hiya ! 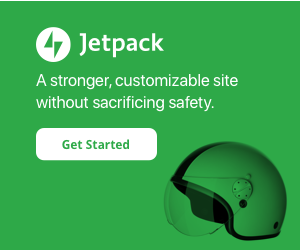 are you running a website? Or looking for Effective Ways to Increase Traffic to to Your Website to sell product and services online? Then you must want to bring more people to visit your site and buy products and services offered by you. In this Competitive world, every online business wants to gain huge traffic to their site. For this you have to use different ways to gain more traffic to your website to generate more business and make your brand popular among others. Now you must be wondering that what are the best and simple ways to generate more traffic to your site. Then you are at right place, I am also running many websites and adopted many ways to gain more traffic to my site. 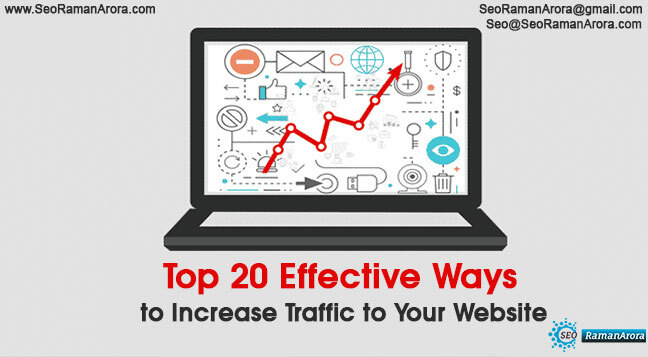 Today, I will tell you the top 20 Effective Ways to Increase Traffic to your websites. You can opt any one according to your choice. Start Doing Guest Blogging :Guest Blogging is one of the most effective way to generate more traffic to your site. Guest blogging is a two way street which increase the traffic of both the website. Guest blogging is when a blogger writes post to publish on some popular site and add their site link as well. If viewers read and like the blog they will click on the link provided by blogger which will benefit the both parties. You should also start doing guest blogging to increase your site traffic. Post Frequently On LinkedIn : LinkedIn is world biggest social network who drives a huge traffic on the site. It is also a content publishing platform and allows people to post content. You should post your blog or content on regular basis to generate more traffic to your site and it also helps to make you brand image in the market and promote your brand as well. Make Your Site Responsive : Nowadays, Most of the people are having smartphones and popularity of browsing internet on PC has been decreased. As People do not have enough time to turn on the pc to open some website, they are more likely to browse internet on their smartphones. Also Google gives lower ranking to Non-responsive sites. So you should make sure that your website is response as people do not find it annoying to scroll you site on their smartphones. Site should be easily accessible and compatible to every smartphones so the people can visit it anytime comfortably. On- Page SEO : On-Page SEO is one the best technique to get higher rank in search results. If your site has good SEO, it will get high ranking in Google search results and your site will be more likely to visit. Optimizing your site content for search engine is still a good way to gain traffic to your site. Make Sure That Your Site is Fast : A good way to gain traffic to your site is to make sure that your site do not take much time to open or loading a page. It should be easily accessible to users. If a site will take more time to load a page, people find it annoying and close the site and jump to another one. So if you want to your site more likely to visit then it should have fast response rate. 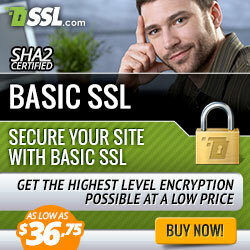 Also a site who takes less time to open get high ranking in search result. Make Use Of Impressive Headlines : Before posting your content or blog, you should make sure that the content headlines should be quite interesting and impressive to convince people to read your blog. Also if you are posting your content on social networking site the headline should be quite convincing so that people will find it worth to click on the link and read your content. Referral Traffic : Referral Traffic is traffic that you receive traffic to your site from someone other websites other than organic search results. 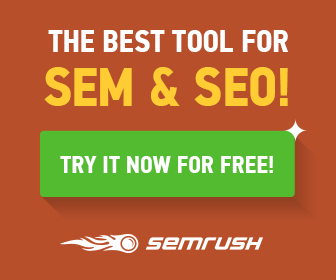 By referral link you can get huge traffic to your site. For increasing referral traffic you can comments on someone other blogs to make good connection with them so that they can refer your site link on their websites or you can also get more referral traffic by creating high quality content so some blogger can refer you site in their blog. Referral traffic is very effective to gain traffic on your site. Update Fresh Content Regularly : Another way to gain traffic to your site is to update fresh content on your site regularly. By frequent posting of high quality content you can attract viewers to visit your site frequently. It has found that updating two blogs in a day is great to boost your site traffic. Also, the fresh content attract the viewers to read it. Add Social Networking Site Button to your Site : Adding social sites button to your sites also helps in increasing your site popularity among many people. If someone like your content, with the help of these buttons, they can share your post with their friends or publically which makes people aware about your site. Respond to Your Blog Comments : By responding to readers’ comments on your blog also help to make them visit and follow your blog more often. Also it helps to build good relationship with reader so that they can also share and refer your blog to others which helps to boost your site traffic. Add Internal Links to Your Site : Whenever you post a content or blog on your sites, just make sure that you are also adding internal links about related content. Internal linking helps to increase chances of getting higher ranking in Google and make your SEO better. Also if viewer like the content or blog, they are more likely to open that related links and share your content. Start Hosting Webinars : To generate huge traffic to your site, start hosting webinars atleast one webinars in a month. 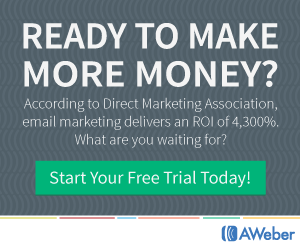 Start sending emails to your potential customers about webinars in a week and remind them about registration for it. People are very much eager about learning from webinars. So by conducting webinars you can make people visit to your site often. Create a Facebook Group : Facebook is one of the most popular social networking website and which is having a huge traffic. It is an extremely great way to attract people towards your site. Create a Facebook group, and send invites to your friends to add them in your group. Post about the products or services you are going to offer to people through your site to make them aware about your brand. Post on regular basis to make them stay connected to you. Post Video on YouTube :YouTube is second most popular search engine after Google. People are nowadays more likely to watch demonstration video of product before making purchase. You should also make a high quality content video for promoting your website and publish it on YouTube. It helps to encourage people to visit your site. Facebook Sponsored Ads : Facebook is a great platform for generating traffic to your site. Facebook has number different ways which helps you to effectively engage with the people. But one technique which is best is paid advertisement. You have to pay to Facebook for putting your ad on the top of Facebook user newsfeed and if someone clicks on the ad then Facebook charge accordingly. It increases the visibility of your site in users feedback and make them aware about your site. There are some Effective ways to improve traffic to your Website, Watch this video to get more knowledge about this article.